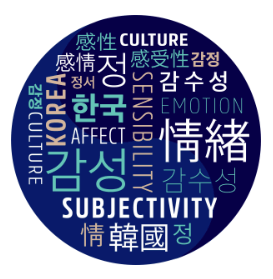 The HMS Colloquium in the Korean Humanities Series at GW provides a forum for academic discussion of Korean arts, history, language, literature, thought and religious systems in the context of East Asia and the world. The colloquium series is made possible by an endowment established by the estate of Hahn Moo-Sook (1918-1993), one of Korea’s most honored writers, to uphold her spirit of openness, curiosity, and commitment to education. The 26th HMS colloquium is co-organized by GW’s Department of East Asian Languages and Literatures and the Institute for Korean Studies, and co-sponsored by Academy of Korean Studies, Korea Foundation, Literature Translation Institute of Korea, GW’s Sigur Center for Asian Studies, Institute for Ethnographic Research, and Columbian College of Arts and Sciences. CHARGE. However, reservations are required. Please make reservations at http://go.gwu.edu/hms26. For questions regarding the colloquium, please contact gwiks@gwu.edu. 08:55 – 09:00 Ambassador Cho Yoon-je, Ambassador of the Republic of Korea to the U.S.